We spent last week camping. 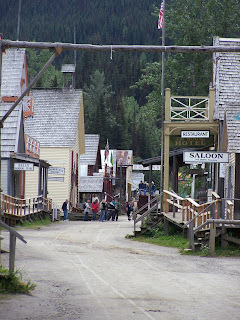 This year we decided to head up the Gold Rush Trail to Barkerville. I hadn't been there since I was a child (all I remember of it is the candy store - salt water taffy and rock candy!!) and the rest of my family had never been there. We took our time getting there and enjoyed some stops along the way - camping, hiking, kayaking and, of course, thrifting. 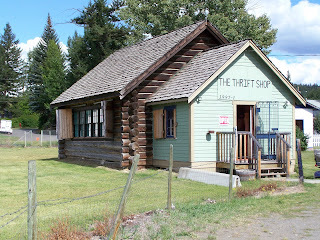 Where else but the Cariboo could you expect to find a "log cabin" thrift store? Barkerville was lots of fun and we spent the better part of two days there. 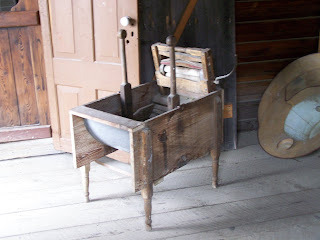 We panned for gold, we got yelled at by "the judge" (which is better than at Fort Steele where my husband managed to get himself thrown in jail by "the sheriff"), we walked up to Richfield court house, we bought candy at the general store (and at the candy store), we ate yummy Chinese food, and...Eureka! we struck it rich. 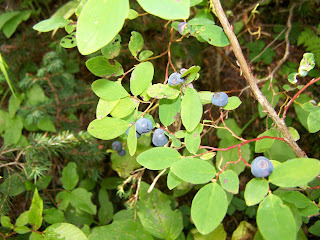 We found the "mother lode"...of blueberries and huckleberries, that is. 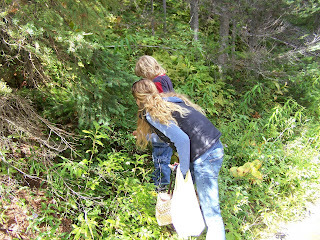 All the way on the walk to Richfield we stuffed ourselves with berries. 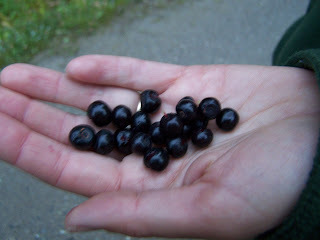 I grew up on the coast where we had red huckleberries growing in our yard. I love them but I think I like black ones even more, even the smell is delicious. 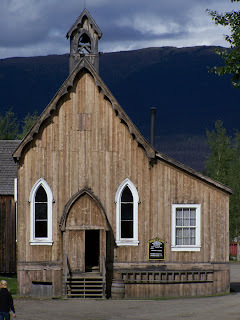 Here is the requisite Barkerville picture. I wonder how many times this church has been photographed. I love visiting any place that makes you feel as though you have stepped back in time. I so enjoy seeing all the old bits and pieces of daily life in another time, it sometimes makes me wish that I lived in those days. And when we got home and I started to deal with over a week's worth of dirty camping laundry I thought to myself - maybe some things of this time are not so bad. What an adorable thrift store! Looks like you timed things just right to score all those berries! What a neat looking thrift store - lots of treasures on the inside??? Okay, after seeing that old washing machine, I'm feeling pretty spoiled with what I have to use. Think what a workout you would get using the one in your photo!